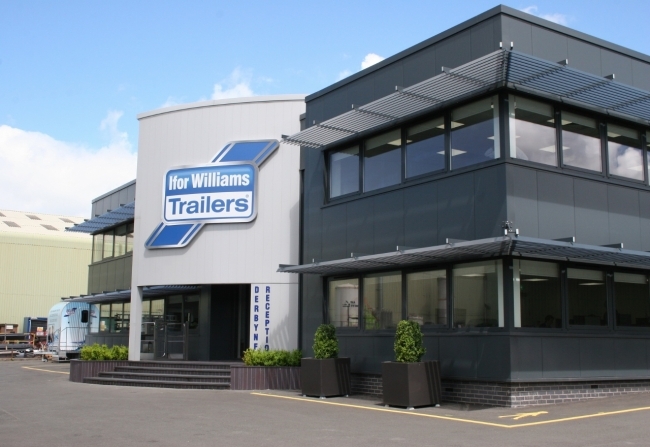 Ifor Williams Trailers is setting up a new production line at a site in Sandycroft in Flintshire to create extra capacity to build its iconic livestock trailers. The move will create 55 permanent jobs at the new facility while the 30 affected permanent staff in Cynwyd, near Corwen, will be reassigned to other production lines. The company, which employs 600 staff, also has four other manufacturing sites at Cynwyd, Corwen, Ruthin and the Deeside Industrial Park. As well as being sold through a network of 50 UK distributors, the trailers are exported all over the world. They have distributors as far afield as Australia and New Zealand – not to mention the former Soviet republic of Georgia, the West Indies, Japan and Africa. Ifor Williams Trailers are the leading horsebox manufacturer in France, Germany and Belgium – with Scandinavian countries like Norway and Denmark being growth areas. Gordon Burns, the Group Head of Human Resources, said: “The new production line is being built to help assist with the company’s drive to bring all our production facilities in line with our world class manufacturing standards. “The investment being made at the new site in Flintshire reflects the demonstration of confidence their customers have shown by placing orders with the company in the difficult time of post Brexit uncertainty. “Our customers trust our brand and are aware of the solid and continued investment behind the brand. “In times of uncertainty, they know that making an investment in our products is a safe investment because our products uniquely command excellent second hand and trade in values. “With continued substantial investment support, we have plans to continue the refurbishment and upgrade of the Cynwyd site manufacturing facility.